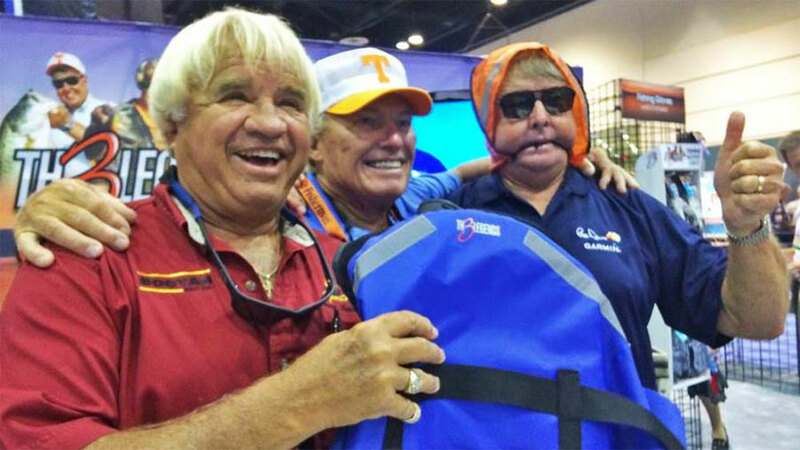 ORLANDO, Fla. – Bill Dance draped a life jacket over his head, a strap like a bridle in his mouth, as he stood alongside Roland Martin and Jimmy Houston for a photo op on the ICAST floor. “That’s Bill Dance” was the simple explanation. They were plenty of other goofs and loud laughs as the TV fishing luminaries teamed up once again, this time endorsing products with Th3Legends name. “We’re just three serious guys,” Houston said after it was pointed out they seemed to be having a lot of fun. “It’s my job to lighten them up. And you have to keep them apart. Notice they put me in between them. Houston did the ciphering of the three at 128 years of combined TV work, but that they’ve never really competed against each other. He served up a prime example when Dance helped him secure a line sponsor.“We’ve done that kind of thing for years, because friendship is above everything else,” Dance said. Martin said he’s been blessed to have such great friends. For years he’s deer hunted at Houston’s place and has made numerous appearances on both of their shows. It was Houston’s energy drink that brought them together 3 or 4 years ago and spawned the idea to team up on more items. At Th3Legends booth, gear like waterproof bags, life jackets, fishing gloves and flashlights was adorned with their logo. On the front of new products, the three said they are amazed with the advancements in fishing gear over the years. 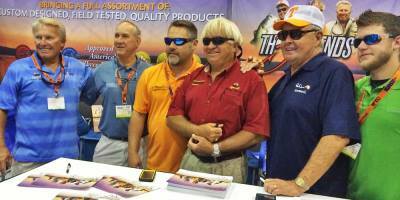 ICAST heralds in new products each year, and the three fishing amigos have seen, and used, a lot of it in their years. Dance said the advance in electronics is most impressive to him. “The technology is better in everything,” Houston said. “Like we have copolymer fishing line that is just far superior to monofilament. We have hooks that are tempered and forged and remain sharp. We used to sharpen hooks. Very few fishermen today carry a hook sharpener anymore. Dance said his granddaddy would never have imagined in his wildest dreams a glove made with Dyneema that protects the user from cutting himself, like one that bears Th3Legends logo. Digs like that aside, each fishing great said they are proud of their long-lasting relationships. Dance put it in perspective. “I’ve known these guys a long time and we’ve worked together on a lot of different things,” he said. “You’d think we’re competitors, we’re not. We’re just all in the same kind of business and we have a lot of fun.